A lot of us had our first big disc-based gaming experiences come from that old PSOne (I have an original PlayStation with Chrono Cross in it sitting on a shelf next to my desk right now), and with the PS4 just a few weeks away, Sony decided to make a little retrospective of the consoles they have released over the last two decades. But I am more worried for the poor kid in the video. 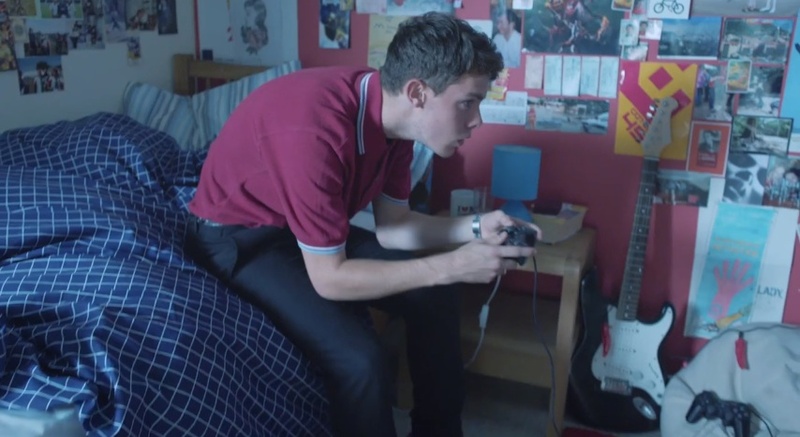 In the video, we see a kid’s room and his PlayStation from the PSOne to the PS4 over a changing London landscape. He and his friends enjoy PlayStation over the years, and while the console and posters on the wall may change, Daniel, now in his mid 30s, still gets frustrated well called away from his gaming by mum. Daniel does look surprisingly young throughout this whole video, though. Maybe he is immortal. Maybe he is a Highlander.